Does teaching Yoga in a canoe appeal to you – take your students out of the studio on a Yoga field trip – to become one with the river? Would you like to receive additional income by hosting River Yoga on the Colorado downriver trips? If so, then you are cordially invited to experience the joy of becoming one with the river as we travel 4 miles down the Colorado River from Austin’s east side to the Texas River School’s River Camp. Join us – free of charge – over the weekend of May 30th to June 1st. There are 3 different trips to choose from when you sign up below. Texas River School, an Austin based nonprofit that benefits at-risk youth in Central Texas, is launching a new program in June – River Yoga on the Colorado. We are offering a weekend of free River Yoga on the Colorado trips to Austin based Yoga instructors and Yoga Studios. Our River Yogi Orientation provides an opportunity for you to see if partnering up with the Texas River School is right for you. Hosting River Yoga on the Colorado downriver trips raises money for Texas River School and provides an additional source of income for Yoga instructors and their Studios. Our weekend retreat of downriver trips for River Yogis is hosted by Joe Kendall, Executive Director of the Texas River School, and Austin musician and member of the Board of Directors, Barbara K. We’ll teach you the J-Stroke – the key to becoming ‘one with the river’ – and share ideas and perspectives about Yoga, breathing techniques and meditation. Potluck cookouts, campfires and live music included. Please join us. We encourage you to invite a fellow Yoga instructor who may be interested in co-hosting a River Yoga on the Colorado downriver trip with to come along. Sign up for your choice of a downriver trip. Thanks. We’ll see you on the river. For more information, please contact Barbara K, bk@sparrowswheel.com, 512-436-6530. 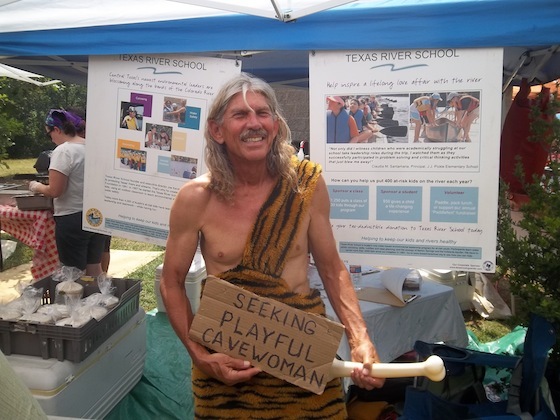 Eeyore’s 51st Birthday Party is just a month away and it’s time to start rounding up our volunteers for the Texas River School (TRS) Chicken Fajita food tent! Mark your calendars for Saturday, April 26th, and plan to be a part of our fun crew at Pease Park. TRS has been participating in this event for over 15 years. 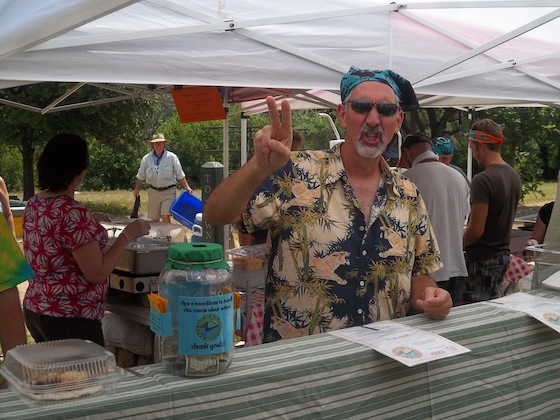 It’s our longest standing FUNdraiser where we really get into the spirit of Keeping Austin Weird while raising money for Texas River School programs. 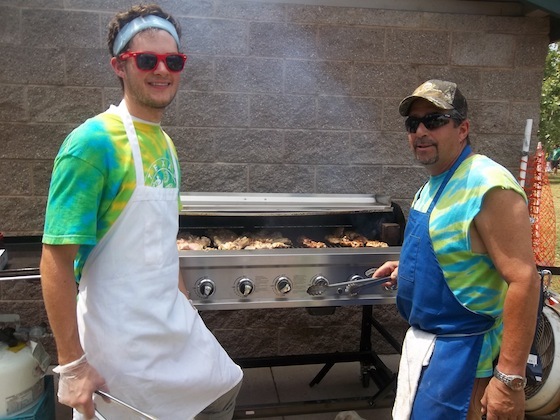 About 40-50 volunteers are needed to help cook, roll, and sell nearly 1800 of our fabulous chicken fajitas to hundreds of hungry party-goers. We have several 2-hour shifts to choose from, beginning at 10am and ending at 8pm, or until we’re all cleaned up and packed. Pease Park is located at N. Lamar & 15th Streets. For directions, and to learn more about the event, click here. The rain date for Eeyore’s is Saturday, May 3rd, so let me know if you are available that date, as well. Plan to be there – volunteer a few hours, play a few hours, get your face painted, see dazzling costumes, wear a dazzling costume, enjoy live music, eat good food, join the drum circles. It’s a bucket-list must do!